bySWIERCZ offers 5 classic lipgloss colors. 5 colors which are timeless, and can be worn by women in all ages, for every occasion. 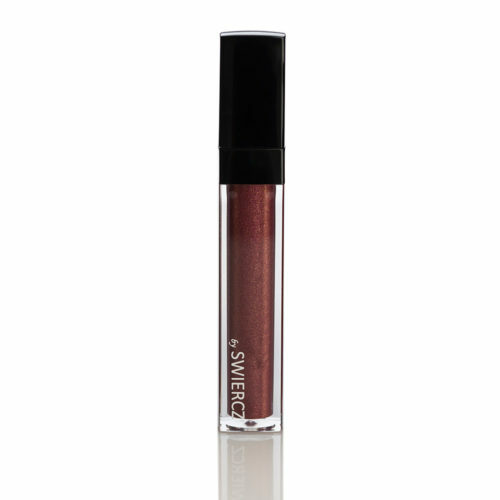 bySWIERCZ lipgloss has a firm applicator, shaped special for bySWIERCZ lipgloss texture. The applicators shape results in applying just the right amount of lipgloss, while also being perfect for applying the gloss on the lips without jaggy edges. The texture of the lipgloss is non sticky but long lasting, and gives a super glossy and crystal clear shine effect. Because of the special formulation the lipgloss does not bleed into lip lines. The plant based oil elements form a protective nurturing film and increase the shine of the gloss. Shea butter and jojoba oil care the lips softly.